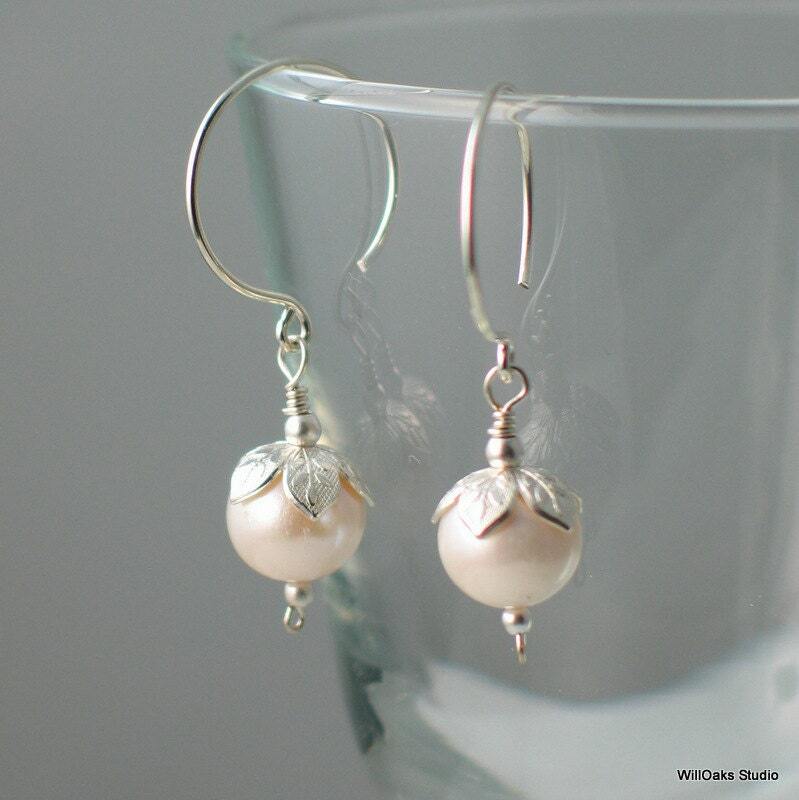 Simple, elegant larger white freshwater pearls topped with detailed embossed floral bead caps drop from my hand formed ear wires for classic white pearl earrings. 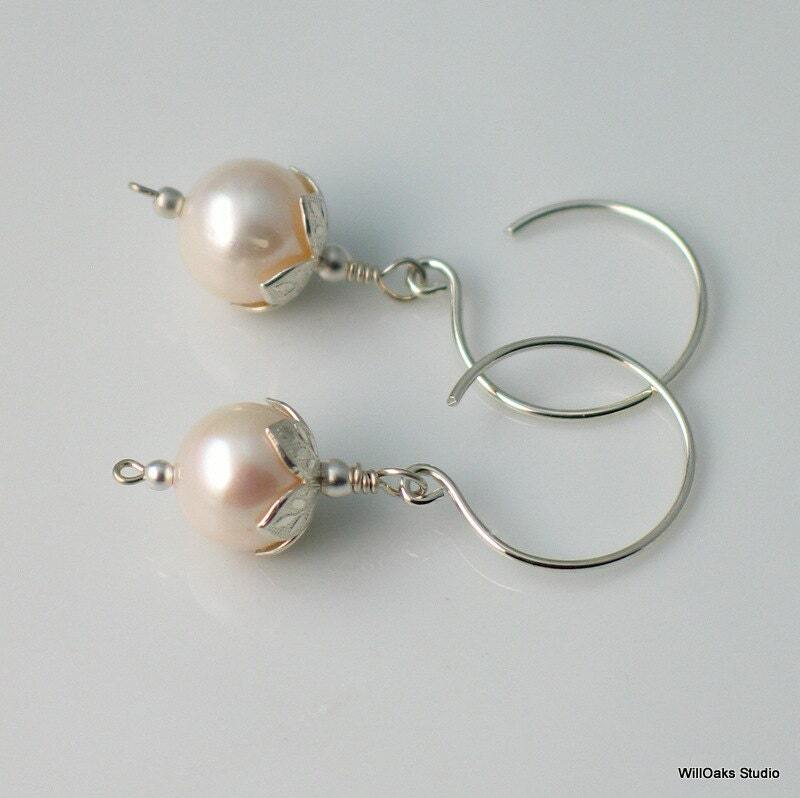 8-9 mm pearls and sterling silver. 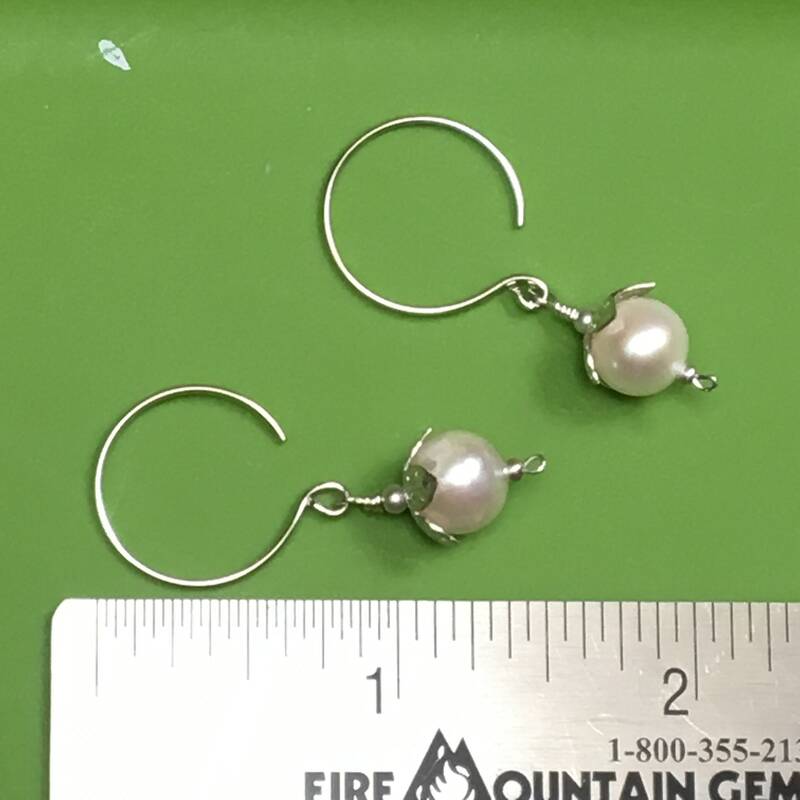 Measured from the top of the earwire, total earring length is 1.5”. Shipped with clear silicone earring clutches. 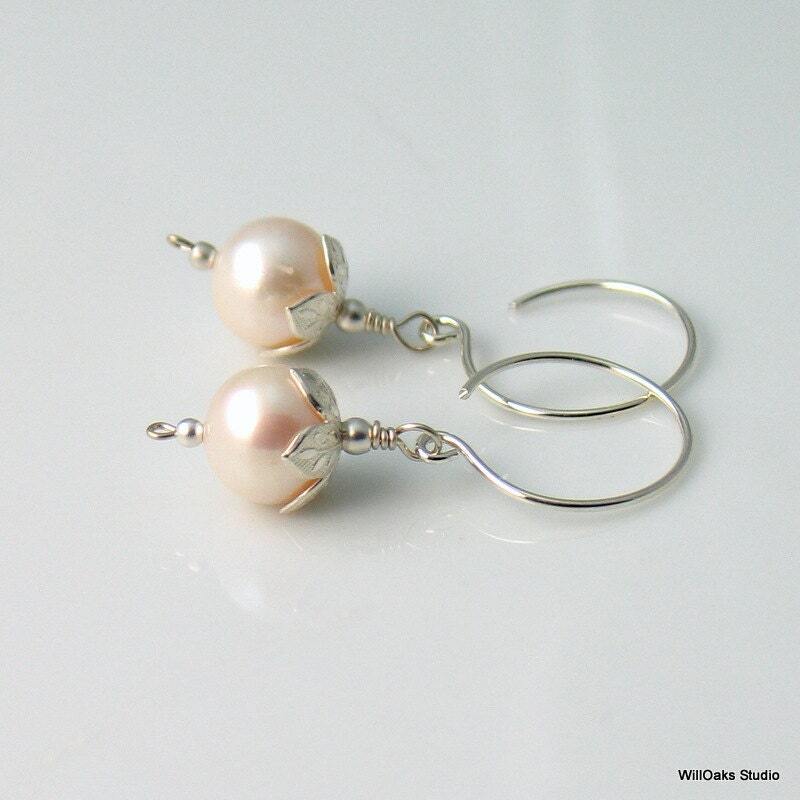 My first edition sold out but I found the parts for a few more pairs of these popular pearl earrings! 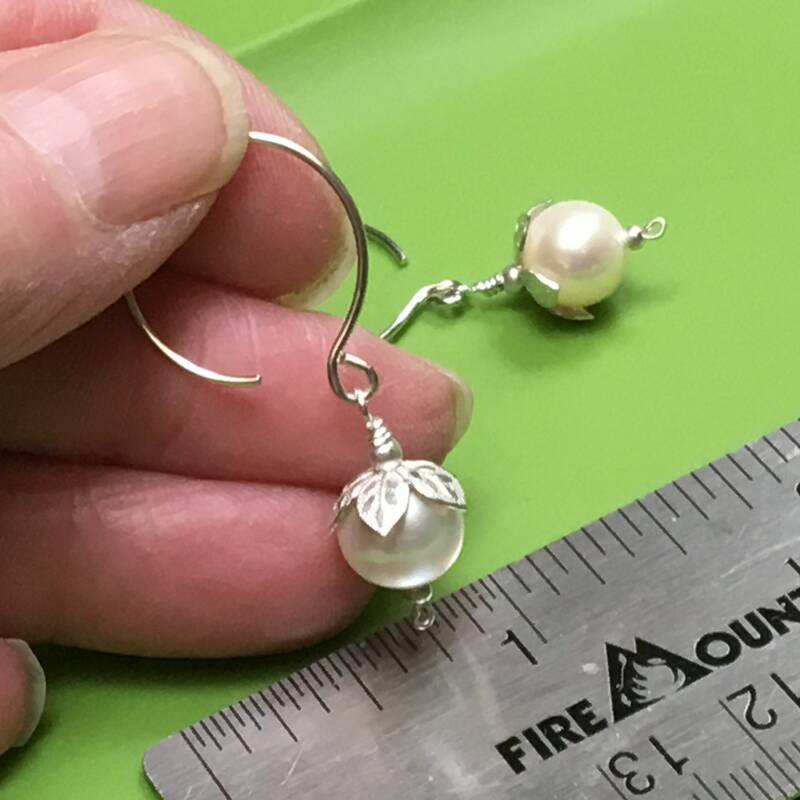 Very nice craftsmanship, love the wrapping string plus charm! Thanks! 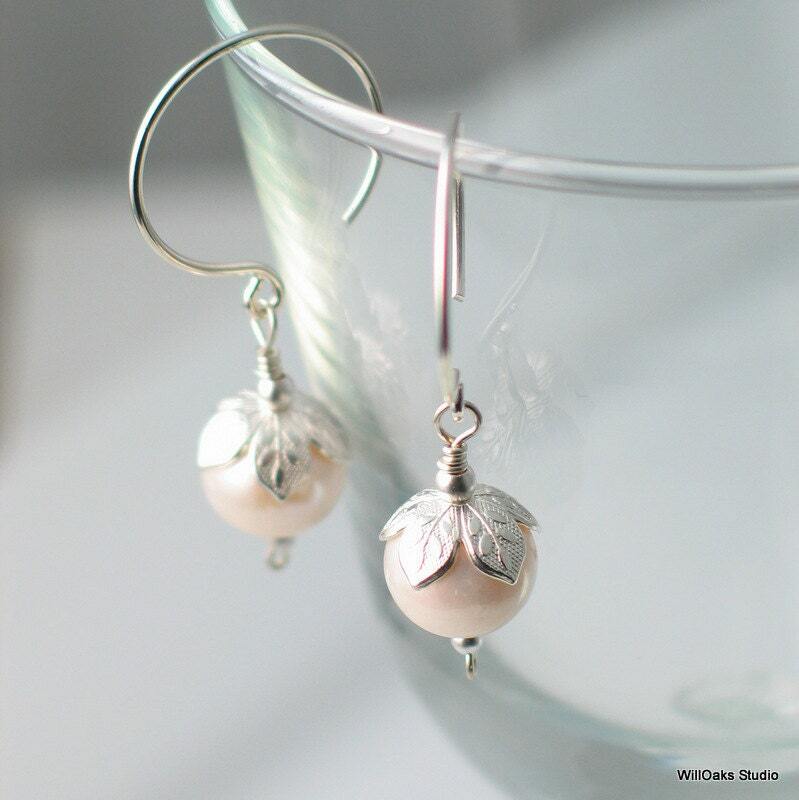 The earrings were beautiful and the shop worked closely with me, they were beautifully wrapped with care and as they were a gift, they arrived in plenty of time to send them. They were perfect! 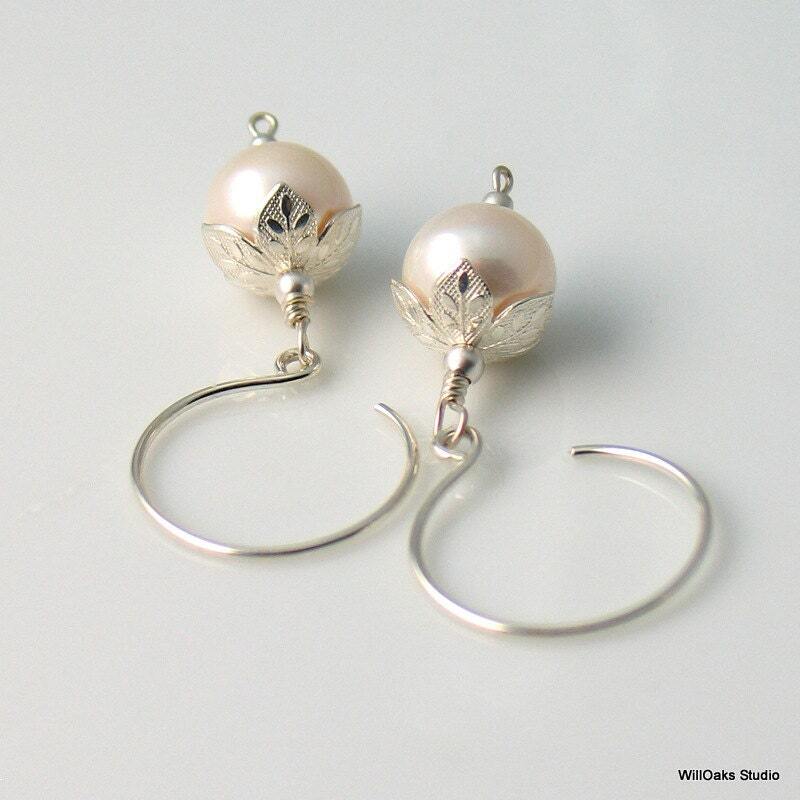 Fine detailed earrings and well-made. Just as the seller described.